Finally my little Meyer lemon tree is putting out. 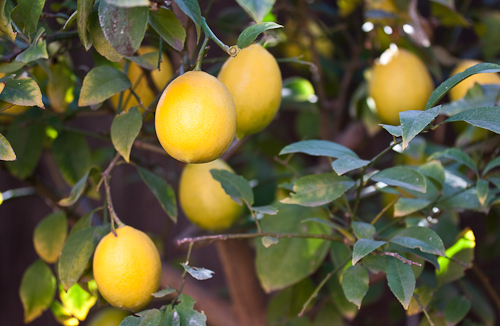 It’s a shrimpy thing — only about 5 feet tall — but there must be 25 lemons on it right now. And Meyers are such a sweet, mild lemon, almost with a hint of orange to them. I’ve always been attracted to those recipes, Middle Eastern and Moroccan ones in particular, that have a tart-sweet-salt combination. Often the sweet is honey, the salt is olives, and the tart is…preserved lemon! That is not something one can find easily, and yet is so easy to make if you’re willing to delay gratification. 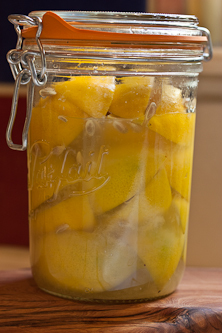 So here is how to make preserved lemon, and stay tuned for recipes that include it. Sterilize a 34 ounce preserving jar with a good-fitting lid (a run through the dishwasher will sterilize it or a rinse with boiling water of both the jar and the lid). Put one tablespoon of salt in the bottom of the clean jar. Slice the lemons almost in half, from the tip to the stem end, without cutting all the way through. Cut again to the stem for quarters. 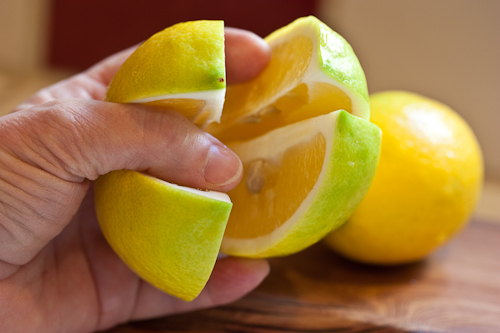 Pack a tablespoon of salt into the center, rubbing any excess onto the outside of the lemon. 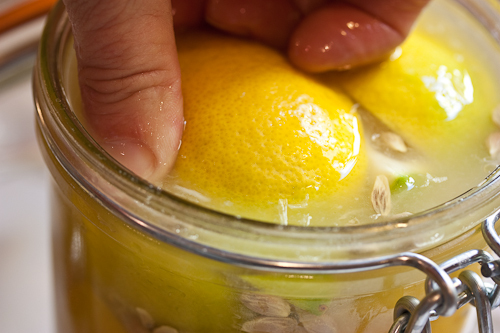 Put into the jar and repeat with the other 5 lemons and salt, pressing hard on the top to jam the lemons into the jar. 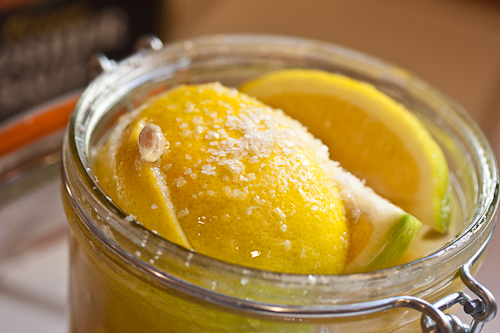 Add extra juice to cover the lemons if needed and sprinkle another tablespoon of salt on top. Leave them at room temperature for 3 or 4 days, turning the jar upside down for periods of time. Move to the refrigerator or a cool, dark spot for another month at least. 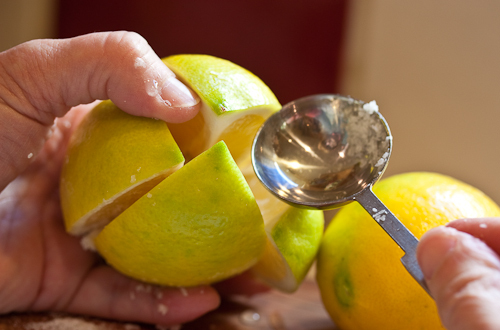 To use, rinse the lemon to remove the salt (if a little mold shows on top just rinse it off as well) and discard the pulp. Almost all eternity — just make them again!